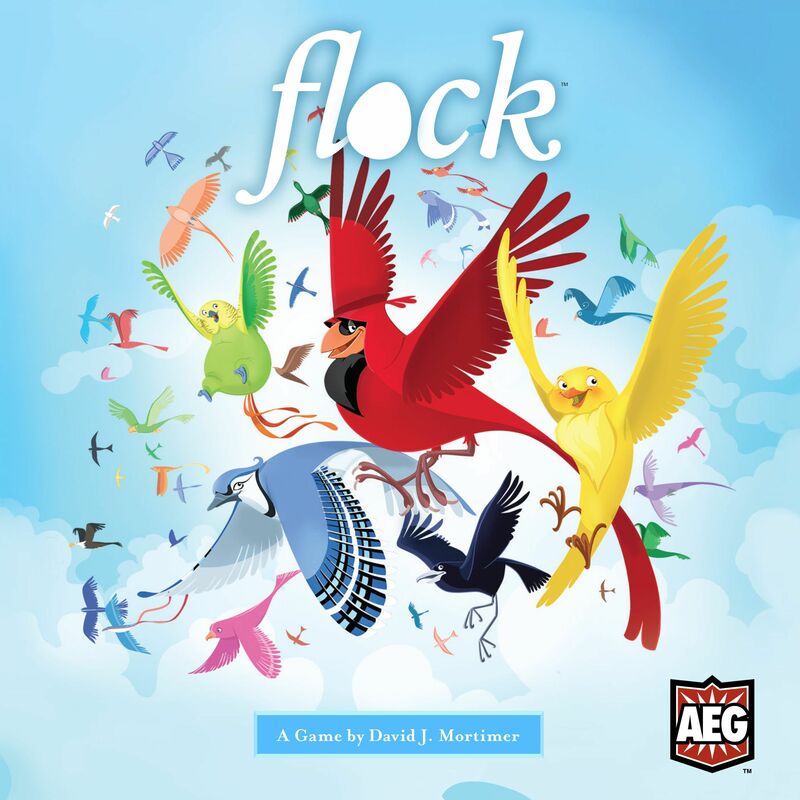 In more detail, players start with three of their eleven birds in front of them. Six nest, egg and worm tokens are placed on the side for each player. On a turn, a player can either place a bird on one of the six action cards or activate an action card on which they have at least one bird. When you activate an action card, you can remove birds from the card — possibly paying worms, nests and eggs as well — to take the action shown, such as removing two birds from "Feeding" to get three worms. Spent birds are returned to your personal pool of resources, while other spent resources are placed on the side. Each player in turn order does the same with this action, then whether they used their birds or not, all birds are removed from this action card, flying away to the players' personal pools. When the "Dominance" card is activated, the dominant player adjusts their pecking order on the initiative track, then everyone else flies their birds from that card to the other action cards. When "Competition" is activated, which is possible only when enough birds have landed on it, each player spends a nest and worm for each of their birds (removing them if this isn't possible), then flies their birds to other action cards. Players then score points for having the most or secondmost birds on a card and for the birds left in their pool.